As marketers, we are inundated with an onslaught of advice on how we should approach marketing for our companies. Every article, blog post or editorial tells you that in order for you to drive more leads or get more customers, you need to focus your marketing around one or more of a plethora of mindsets. I mean there is “data-driven marketing”, “process-driven marketing”, and “technology-driven marketing”, but what about “purpose-driven marketing”? What I am talking about is not “purpose-driven marketing” in the traditional sense, where companies align with a cause to help expand their awareness or sell more products. I am talking about purpose in its truest form… What purpose do customers have to buy your product or service? The REAL reason. Does it make them better? Does it solve a need? Are they missing something valuable? These are the pockets of opportunity that exist throughout your company’s life cycle, from targeting the right prospects to a lead’s journey through the customer life cycle. Most companies are missing these opportunities, whether they have a marketing team, don’t have a marketing team or have a hybrid of in-house and outsourced marketing partners. Why? Because we’re busy and don’t have the time to document our opportunities. This diagnosis comes from my perspective first as a corporate marketer and now as a marketing consultant. Marketers have other areas to worry about, programs to manage, and basic results to deliver to the business. I wholeheartedly believe that if you can find and capitalize on buyer triggers with purpose-driven marketing messages, your marketing will be drastically better. If you don’t possess the skill set, consider acquiring the talent or working with partners that get it. Ok, let’s assume nobody cares about your company or your product. What now? News flash: this happens all the time. We are pushed so many messages over so many mediums that messages blend together. How do you cut through the clutter? Really focus on the last one, but add some purpose and make it consistently resonate on all print and digital properties for prospects, leads and customers. As marketers, we tell stories. We have good ones. We have bad ones. The worst ones are those which are not consistent with our brand, message or positioning statement. During my corporate marketing days, I would always joke that we spend 100% of our time marketing to prospects, but completely forget them when they become customers. Don’t do that. There are a number of strategic touch points that are both natural and influential to stay in front of a prospect, hot lead or customer. Immediate Takeaway: Build the journey map. This is not your ordinary journey map; this should be your marketing-based campaign flowchart that incorporates the marketing, sales and operations processes into one. THIS is where you find your golden nuggets of places to insert follow-up emails, drip campaigns or information to help drive your purpose. You’re not playing with house money when you’re given the keys to the marketing budget. And, also remember that you should count your partners’ costs in that executable marketing budget. What does that mean? We should always be campaigning to drive revenue. I worked with a great Sales VP who always preached to his team “Non-revenue generating activities are not welcome here.” He even had a Ghostbusters-like drawing on his office door. Immediate Takeaway: Build an actionable campaign report. I call it a “frog in a blender” dashboard where you can benchmark good campaigns and then track each one to its benchmark. Green means it’s working, red means it’s failing. It’s simple, but not so simple to execute. In some companies, this is the responsibility of a marketing analyst and in others, this is open to anyone. I’m not saying that any of this is easy to do or that you should be able to carve out the time to get it done. What I am saying is that it is important to start infusing purpose into your marketing activities. 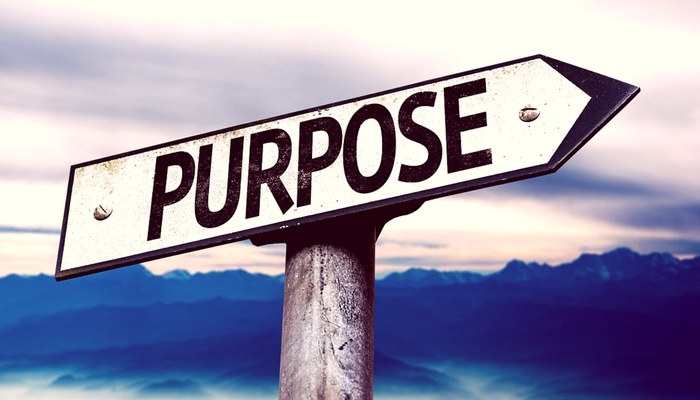 Purpose that not only satisfies your company’s mission, but also that drives more revenue. That’s why you’re hired as a marketer. The sooner you can find those golden nuggets, the sooner you’ll be communicating wins. If you need a push or help getting started, reach out and leave me a note here.